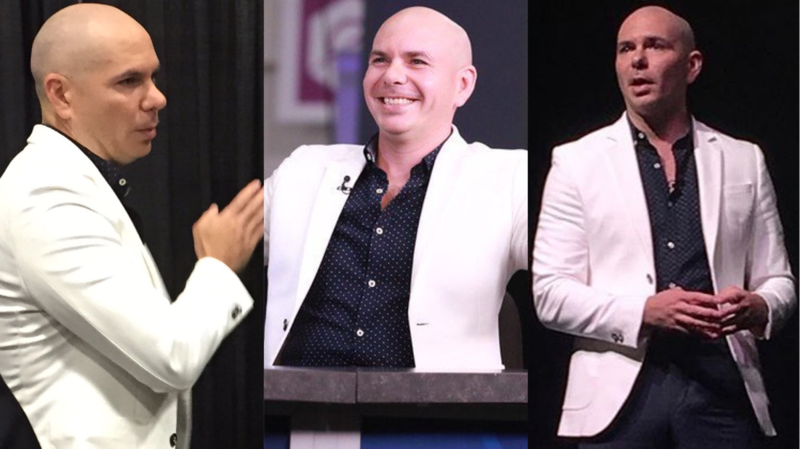 Pitbull attended the fourth annual eMerge Americas today at the Miami Beach Convention Center. While at the tech conference, Mr. 305 did a keynote speech with Suze Orman to discuss entrepreneurship and share insights on technology and business strategies. Pit also stopped to do an interview with CNBC‘s Closing Bell before sitting down for the keynote speech. Check out photos and videos from eMerge Americas 2017 below!